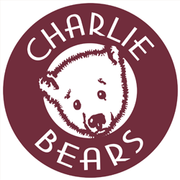 Charlie Bears is an international collectable teddy bear company based in Launceston, Cornwall. Founded by Charlotte and William Morris in 2005, the Charlie Bears Gallery allows you to view all of the collections from the very beginning! The Bearhouse Gallery is a special place where the whole family can step in to the magical world of Charlie Bears. It is designed to be a multi-sensory space for everyone to enjoy, not just collectors of Charlie Bears. The Gallery has evolved from Charlie’s original design room, which she has developed in to an enchanting gallery space to astound and delight visitors. You can easily spend a few hours in the gallery and our bear cubs are always on hand if you have any questions about any of the collections or specific bears. There are lots of surprises along the way and there is also a dedicated Charlie Bears store on-site too. The Charlie Bears Gallery is also free entry all year round with the option of leaving a charitable donation within the gallery for the Charlie Bears charity of choice. The Bearhouse Gallery is truly suitable for the whole family with disability access and it is baby friendly too with changing facilities and a lift to take you to the upper floor. There is also a picnic area inside with coffee/tea making facilities to allow you to unwind and take in the beauty and magic of the elaborate displays.